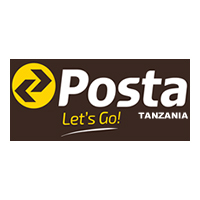 Tanzania Posts Corporation (TPC) is a national designated Public Postal operator established by Act of Parliament No. 19 of 1993 and became operational on 1st January, 1994. The Corporation is wholly owned by the Government of Tanzania and is dedicated in improving people’s lives. Interested and qualified candidates are invited to submit their applications in writing enclosing detailed curriculum vitae and certified copies of relevant education, professional certificates and testimonials together with names of three referees and 19 their (referees) contact addresses, telephone number(s) and e-mail addresses. All application should be sent by EMS courier so as to reach the addressee mentioned below. Deadline for receiving application is 27th June, 2018. Only short listed candidates will be contacted.